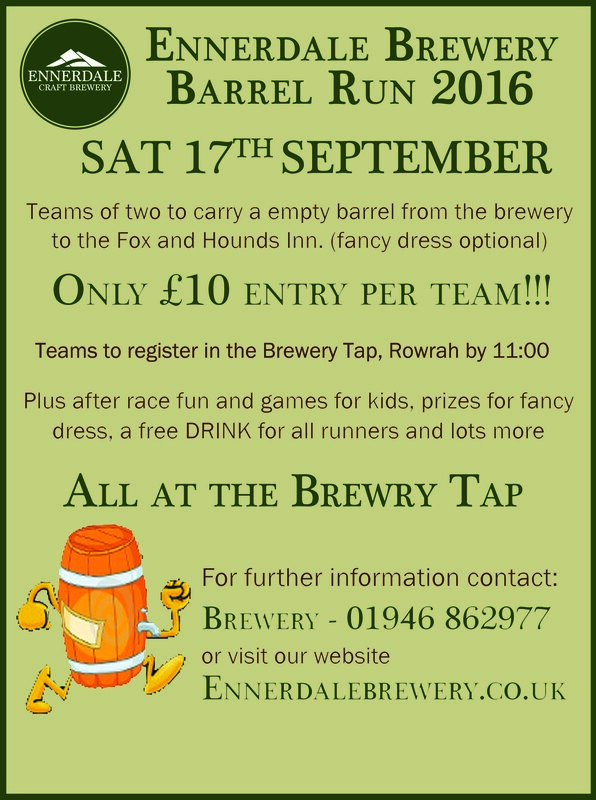 The Ennerdale Brewery are hosting their 6th annual Barrel Run on Saturday 17th September 2016. During the fun run participants run approximately 3 miles, in fancy dress, from the Brewery at Rowrah to the Fox & Hounds Public House in Ennerdale Bridge carrying an empty 9 gallon stainless steel barrel! After the race has finished, participants are given a free pint of Ennerdale Ale along with sandwiches and chips. 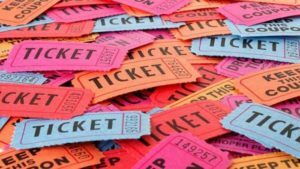 There is then a fun day held back at the Brewery with a bouncy castle, live music and a raffle. ALL proceeds go to charity, the Brewery do not take any payment from entrance fees or raffle prizes in which we provide. Last year we raised a staggering £800 which was donated to Jeans Research Trust, a charity that our family has close ties to. This year we are hoping to raise even more money and the selected charities are Parkinsons, Alzheimer’s Society and Cancer Research – all of which are very close to our hearts. We are asking for donations in the form of raffle prizes… If you would like to donate, please contact Emily on 07725839952 to collect the prize. Alternatively, pop something in the post to The Brewery, Chapel Row, Rowrah, Cumbria, CA26 3XS.